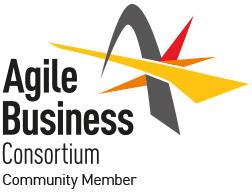 The Agile Project Management (AgilePM®) Practitioner course, accredited by the APMG, and created in conjunction with the Agile Business Consortium, is the world’s first independent certification in Agile Project Management. While there are many agile courses available Product Owners, Scrum Masters, and Agile developers, this course and this certification are specifically focused on Agile Project Management and designed for Project Managers. This AgilePM Foundation/Practitioner certification course is based on the Agile Business Consortium Project Framework. This 2½ day course includes both Foundation and Practitioner exam certifications (which are taken on-line outside of class hours). Optionally, IAG also offers a practical Agile Project Management Course focusing in more detail on the implementing and applying the principles, concepts and practices from the the Agile Business Consortium Project Framework. This applied course equips Agile Project managers you with a broad knowledge of not just Agile principles, but also how to apply them as a project manager on a daily basis—with teams using Scrum. Kanban, Lean, DSDM and SAFe methods.